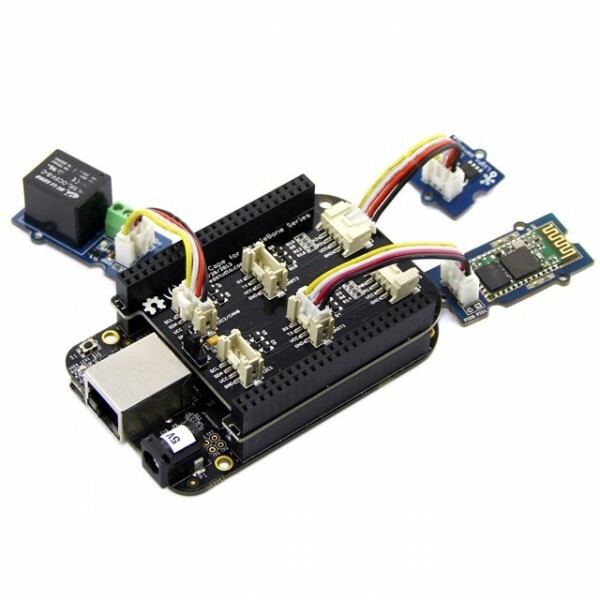 The BeagleBone Grove Module Interface Cape is an expansion board that makes it easy to connect Grove compatible sensors and modules. 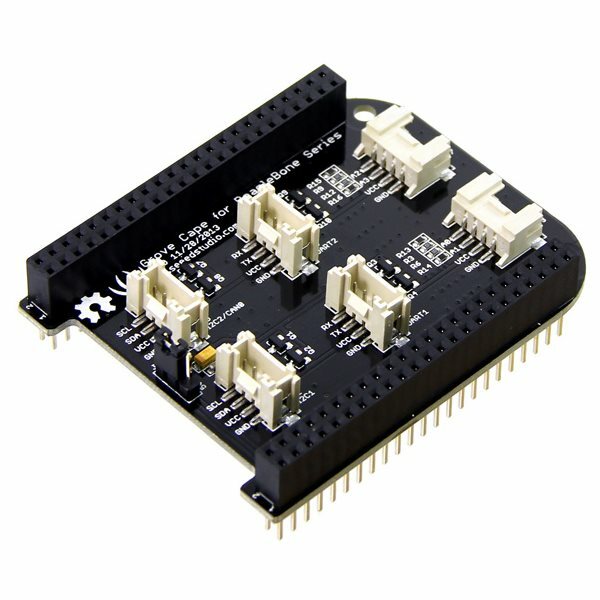 This stackable BeagleBone expansion cape provides six Grove connectors for use with a variety of Grove compatible plug in modules. Each Grove connector has two signal pins along with voltage and ground. The six Grove connectors can be configured to support up to four digital I/O modules, two I2C modules, two serial modules and two ADC analog input modules. All BeagleBone GPIO pins are available via female header pins. 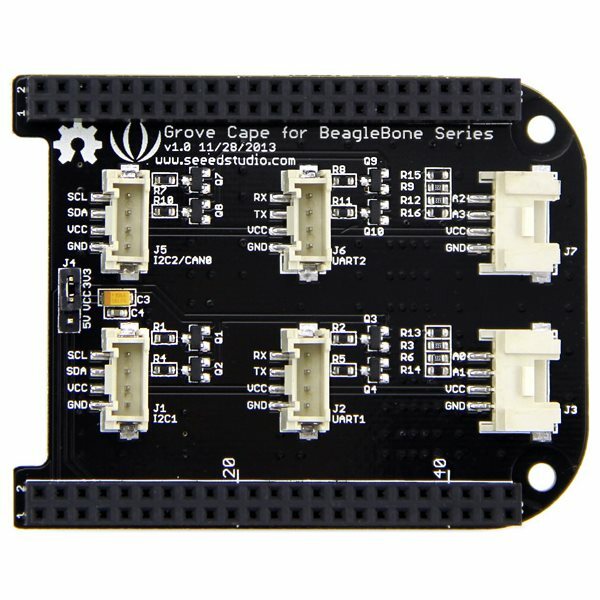 The Beagle Bone Grove Module Interface Cape is compatible with the BeagleBone Black, BeagleBone Green and similar processors.